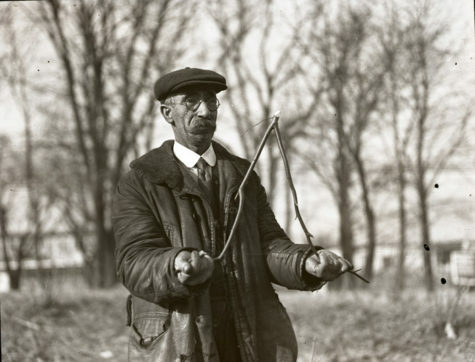 From Pow-Wows, or Long Lost Friend, by John George Hoffman, , we have this tutorial on how to make a divining wand to be used for finding iron, ore, or water. is there any water here or not? do tell me! Note: If you are searching for Iron or Ore, you have to say the same, only mention the name of what you are searching for. Which God gave unto thee at the very first hour. Note: when you see this symbol + + + it means that you would then make the sign of the cross three times.